Satya Shiva is a NAMA certified Ayurvedic Practitioner, Doctoral Cand. and California Licensed Acupuncturist, Herbalist and practitioner of Traditional Chinese Medicine. She has served as Detox Director and resident faculty of the Yogic Medicine Institute since 2004. Satya specializes in prevention and longevity, integrating Traditional Chinese Medicine, Tibetan meditations, Yoga, Ayurveda and Panchakarma, the Purification & Rejuvenation Techniques of the ancient Himalayan Yogis. Her 16+ years of clinical training include Doctoral studies at Yo San University, MTCM at Five Branches University, CAS at California College of Ayurveda, QRA with Premier Research Labs, C.Ayu, CPT, ERT and HYT at Yogic Medicine Institute. Satya is also the Chief Operations Officer of Ngakpa International, a 501c3 non-profit preserving the philosophy and practices of Tibet’s Buddhist Yogis. She regularly teaches classes, speaks at conferences and offers private and international cleansing retreats. Acupuncture and Traditional Chinese Medicine, L.Ac. Doctoral Cand. of Acupuncture and Oriental Medicine, DAOM Cand. Satya began her training in the Yogic and Ayurvedic sciences in 2001, under the direction of Derrick Pawo and Pema Khandro, Founders of the Yogic Medicine Institute. Satya pursued specialization in Panchakarma, the detoxification and rejuvenation system of the Himalayas. From 2004 – 2009, Satya managed all aspects of Panchakarma retreats at the Good Earth Ayurveda Retreat Center, a 17-acre redwood forest retreat located in the Santa Cruz Mountains with all organic vegetarian Ayurvedic cuisine, natural accommodations, yoga, meditation, and intensive cleansing therapies. 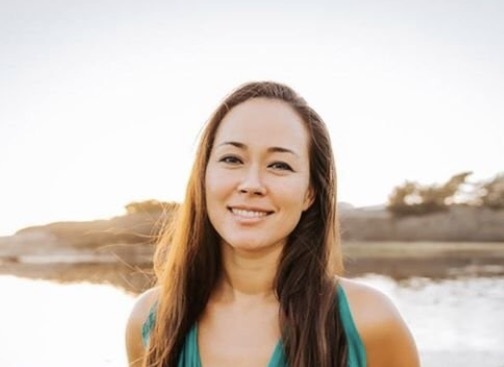 Satya is a Licensed Acupuncturist and practitioner of Traditional Chinese Medicine and is currently completing a Doctoral degree with a specialization in Healthy Aging and Longevity. She is also a Certified Ayurvedic Practitioner with additional training from the California College of Ayurveda. She has infused her passion for cooking with Ayurvedic knowledge and teaches Ayurvedic cooking classes. She is a trained Hatha Yoga Teacher and Meditation Instructor, focusing on restorative and spinal based yoga since 2002. She is passionate about all of the Yogic Sciences and enthusiastic to practice and share their ancient wisdom. Since 1999, Satya has worked as a natural health and sustainability consultant within a residential care facility for the elderly. She is passionate about infusing the current model for senior living with the eastern medical practices for longevity and compassionate care. Currently, Satya offers Acupuncture, Chinese and Ayurvedic health consultations, detox therapies and Panchakarma programs in Santa Cruz, CA, and both private and group Cleansing Retreats at destinations worldwide. Satya serves on the Board of Directors for Ngakpa International, a 501c3 non-profit organization for sustaining and sharing the cultural heritage of the ancient Yogis of Tibet. She is also a volunteer director of fundraising and outreach for Ngakpa House, a charity raising awareness and support for the food, shelter, clothing, medicine, and education for children, orphans and elders in the Himalayas. A daily inspiration that fuels Satya’s work is the Vision of an Eco-Village template based on permaculture, Vastu and sustainable building practices, beyond organic food and herbal medicinal farming, and Buddhist principles for living joyously and harmoniously for a greater common good. For more information about Panchakarma Cleansing, contact PK@YogicMedicineInstitute.org. For any other questions or inquiries for Satya Shiva, contact: Satya@YogicMedicineInstitute.org.